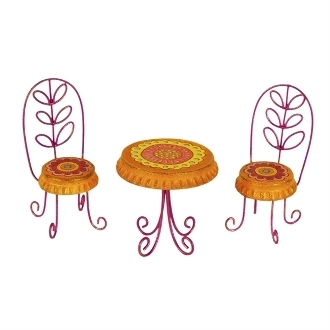 Full Description: This adorable mini bottle cap bistro set makes a perfect little garden retreat. Looks great under our pink gazebo with chandelier or set on our 8" round patio! Designed by Genevieve Gail. Features all-weather paint and patterned flower details.